Side-effects of antibiotics could include obesity, behaviour change and stress. The side-effects of antibiotics, especially on the gut, are much greater than previously thought, a new study finds. 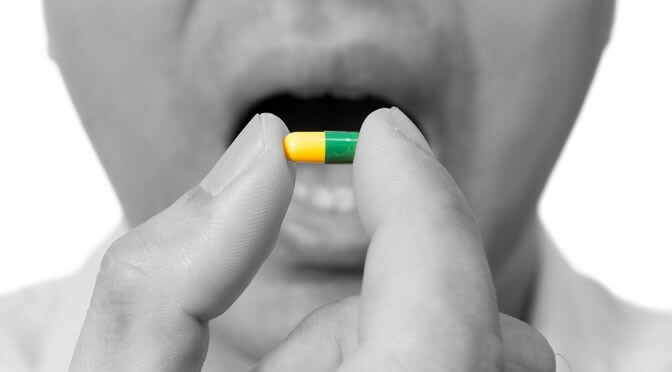 Some of the side-effects of antibiotics are well-known, but the new research, published in the journal Gut, finds the damage could lead to problematic changes in food absorption, obesity, behaviour and stress (Morgun et al., 2015). Since 40% of adults and fully 70% of children take at least one antibiotic each year, the issue is far-reaching. “Just in the past decade a whole new universe has opened up about the far-reaching effects of antibiotic use, and now we’re exploring it. The study of microbiota is just exploding. In the study, the researchers gave laboratory animals a mixture of four common drugs to study the side-effects of the antibiotics on the gut. They found that the side-effects of antibiotics were much more wide-ranging than expected. “Prior to this most people thought antibiotics only depleted microbiota and diminished several important immune functions that take place in the gut. Actually that’s only about one-third of the picture. They also kill intestinal epithelium. This finding may help to explain the growing list of side-effects of antibiotics. One option for combating this problem is trying to find healthy probiotics which could offset the side-effects of antibiotics.